If your home restoration and cleaning specialist doesn’t work in your best interests, it can quickly eat up your money. Alpine’s processes help ensure that you get the most restoration possible from your insurance money. Call now: 855-4-ALPINE. 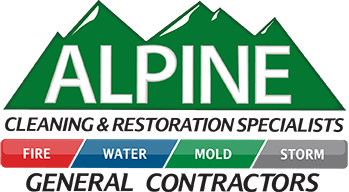 Alpine Cleaning and Restoration is the largest full-service disaster restoration company in Utah. Whether mold, fire, storm, or water damaged your property, we’ll work closely with you and your insurance company to clean up, deodorize, and repair your home or business to its pre-loss condition. We do it all, from board up and reconstruction to content cleaning. Give us a call. We’ll Take Care of You! At Alpine, we want to take care of you so well you’ll be a customer for life. That means looking out for your interests, doing a quality job, keeping you informed, and providing the most restoration possible from your insurance money. 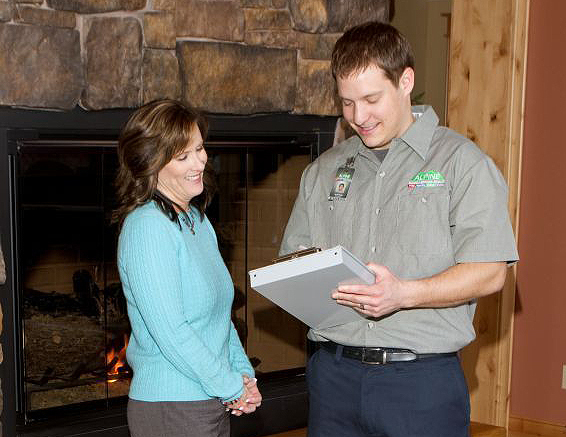 After an initial assessment, we’ll assign a team to take care of your home. By having a team on your project there will be someone to take care of you at every step of the restoration process. We’ll keep you updated about costs and work to get you the best restoration possible for the insurance money available. With a state-of-the-art cleaning facility and trained, experienced and certified staff, we are able to clean and restore items other cleaners would throw away. These can include photos, computer data, heirlooms, art projects, electronics, taxidermy, and other irreplaceable items. One of our methods of cleaning your content uses ultrasonic technology. In this case, it’s not the sound waves themselves that do the cleaning. Rather, the super-fast sound waves create powerful cavitation bubbles. When these bubbles implode, they create a hot, microscopic jet that is able to reach the nooks and crannies of objects and remove smoke residue and other debris. This methods allows us to clean parts of items that brush bristles couldn’t reach, or where it would take too long to use brushes. Just think of cleaning a couple thousand Lego pieces. Would you rather do it by hand or using Alpine’s ultrasonic cleaning method? Electronics can be effectively cleaned using a deionized water spray and then drying them in a special chamber. This can be a much more cost-effective solution than having the insurance company reimburse the pre-loss value. Why? Suppose you paid $1,200 five years ago for a big-screen TV. Your insurance company figures the TV was only worth $200 at the time of the disaster, so that’s what it will reimburse. With only $200, you can’t buy a new big-screen television. However, if we clean the TV, you’ll be able to continue using it, which is a much better option. We can take care of cleaning your clothes, drapes, rugs, and when it makes sense, your carpet. And unlike other restoration companies that may send all of your clothing to a third-party dry cleaner, Alpine washes your clothing in-house, then either irons or steams them to get rid of wrinkles. (Unless of course, the clothing requires dry cleaning). This saves money and prevents exposing your clothes dry-cleaning chemicals. 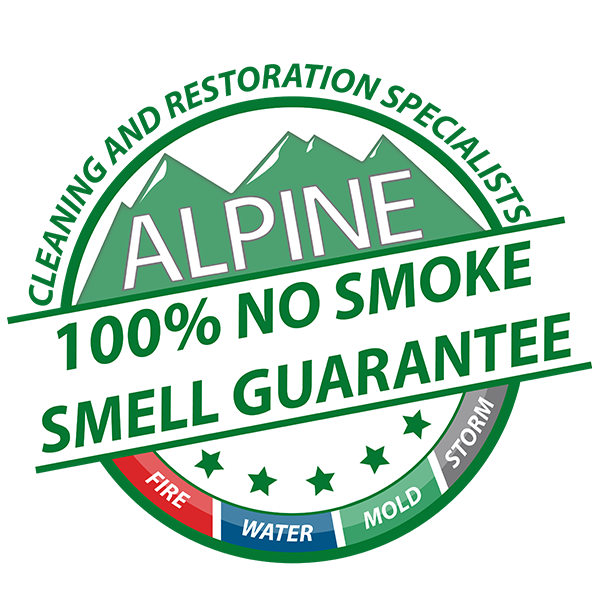 We offer a “100% Trust” guarantee, a “Finished Date” guarantee, an “Immediate Call Back” guarantee and a “No Smoke Odor” guarantee. Disasters can happen anytime. That is why our 60 min response time is applied to every day of the year, and every hour of the day. When you have an emergency like a fire, flood, severe storm, or harmful mold, you can call us any time, day or night. Our professional, dedicated staff members are on call around the clock. We guarantee that we will respond to your emergency within 60 minutes (if you are in northern Utah or southern Idaho). So when emergencies happen and every second counts, let Alpine come to your immediate assistance.